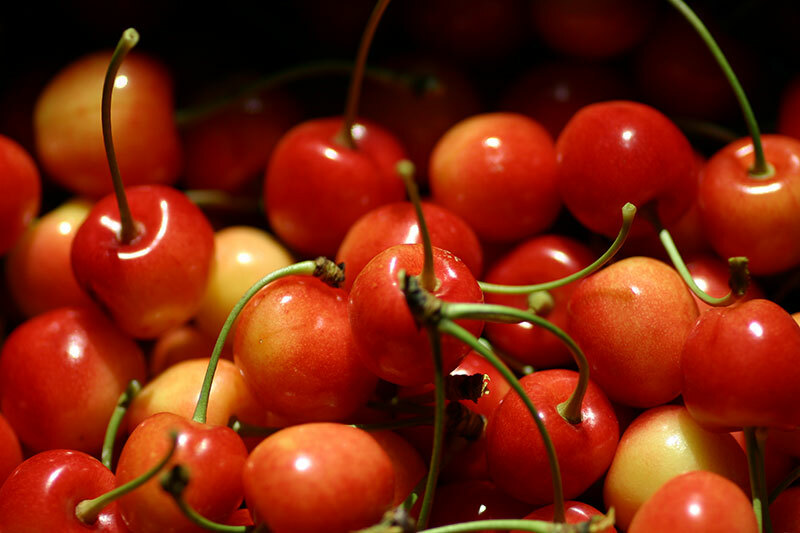 One of the best ways to beat the heat was to enjoy some fresh picked cherries. My father-in-law has four cherry trees and every day we had cherries for dessert. 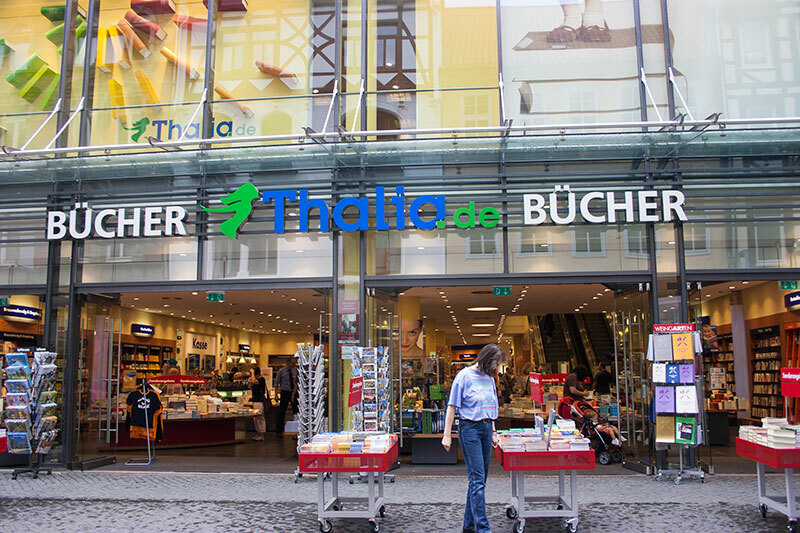 There&apos;s a new bookstore in Braunschweig which I”m loving a lot. I still like the Graff bookstore but Thalia has more English books. 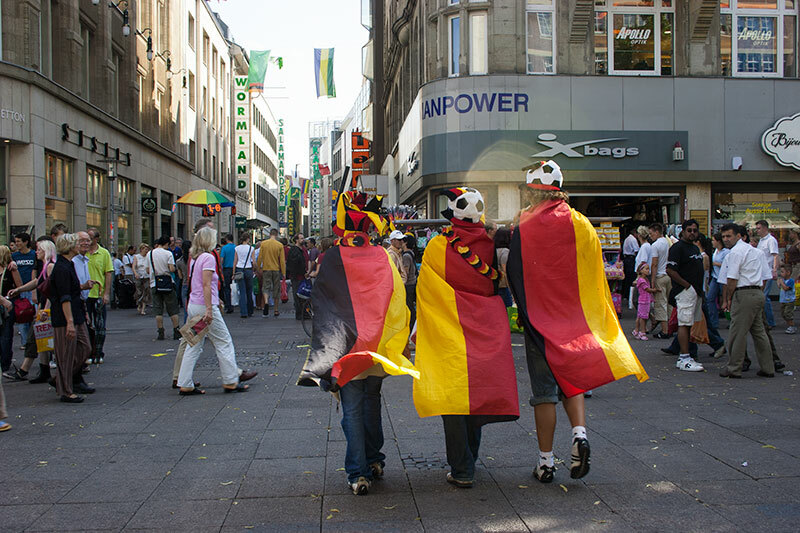 World Cup fans making their own fashion statements. My husband and I always laugh at the fact that we have tons of photos just never of ourselves since we are each so busy with our cameras. 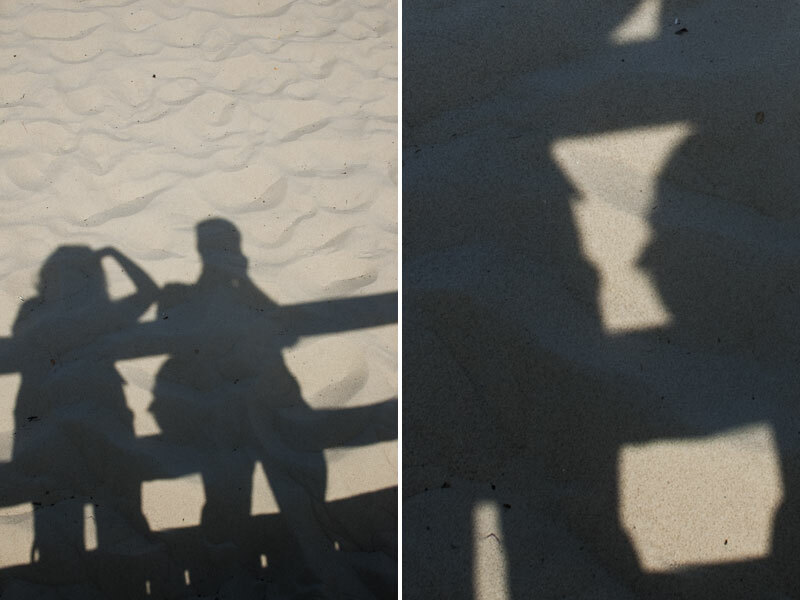 Finally an opportunity to take our picture even if it is of our shadows. We couldn’t have asked for a more perfect day at the beach. 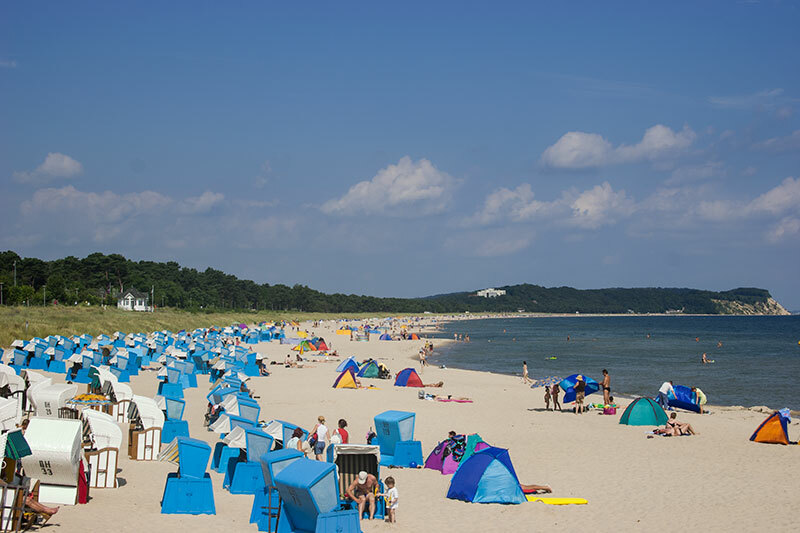 This is one beach off of the coast of Rugen. 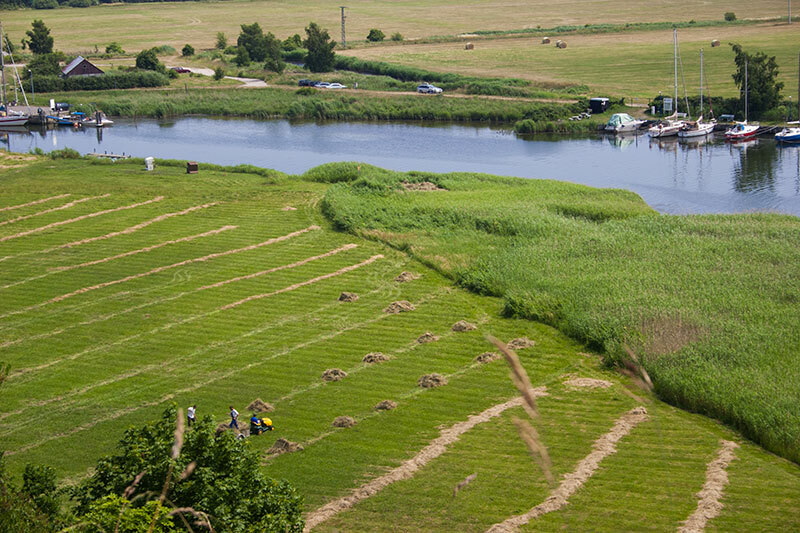 We weren’t just beach bums in Rugen. 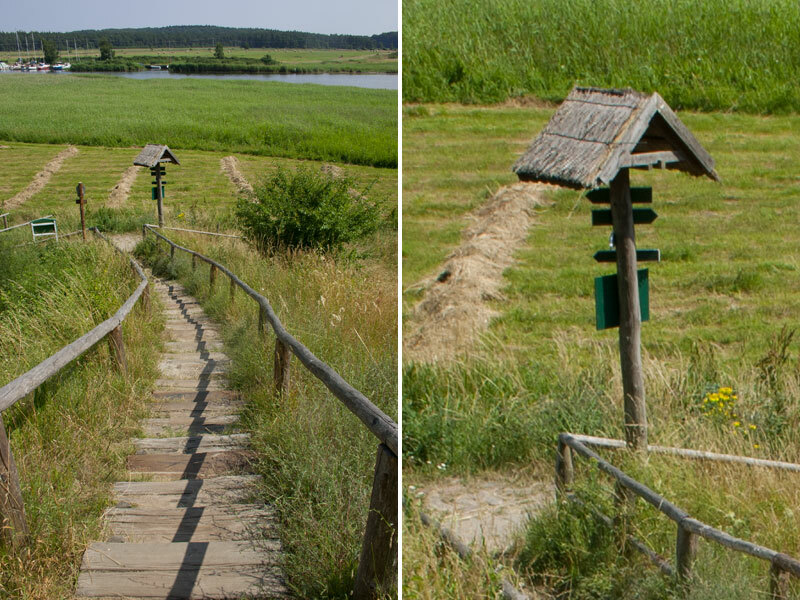 We did some hiking and discovered many beautiful fields. Another photo from our hiking day. 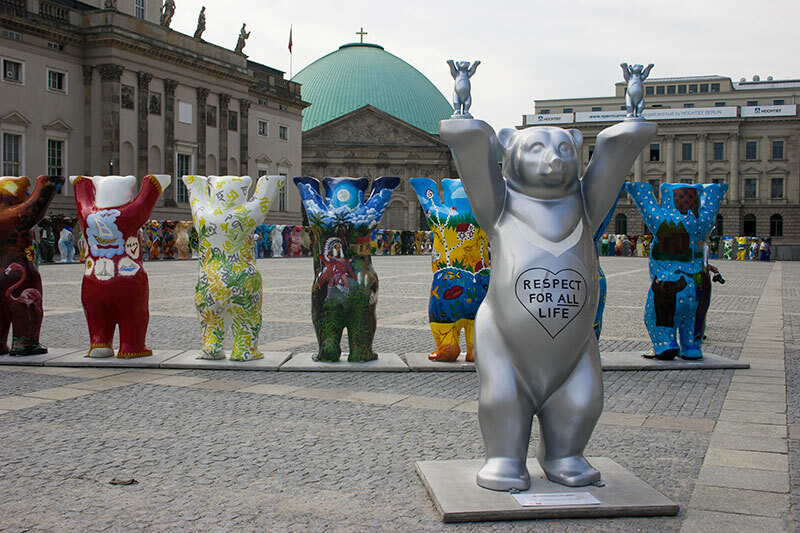 These bears have been all around the world and were back in time for the World Cup. Representing United Nations member states, the bears’ motto is “we have to get to know each other better.” I like that. 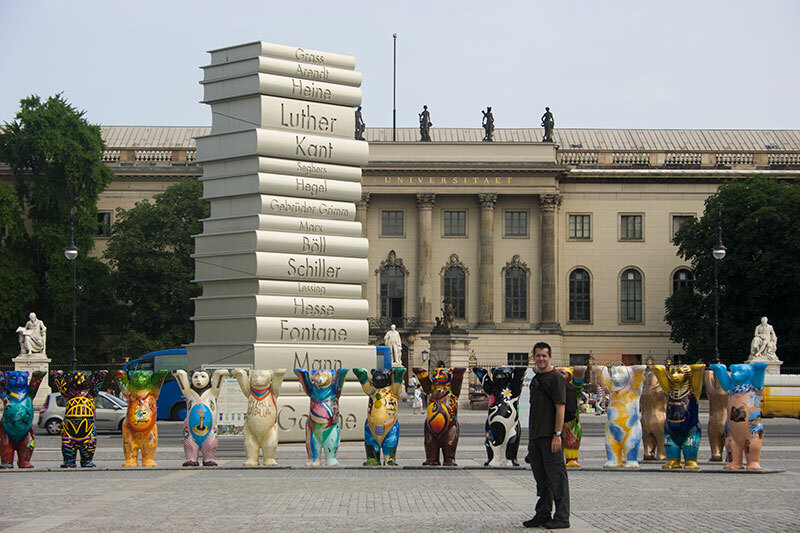 Bebelplatz is practically turned into Bärenplatz (Bear Square). Of course, my favorite sculpture stands here as well. 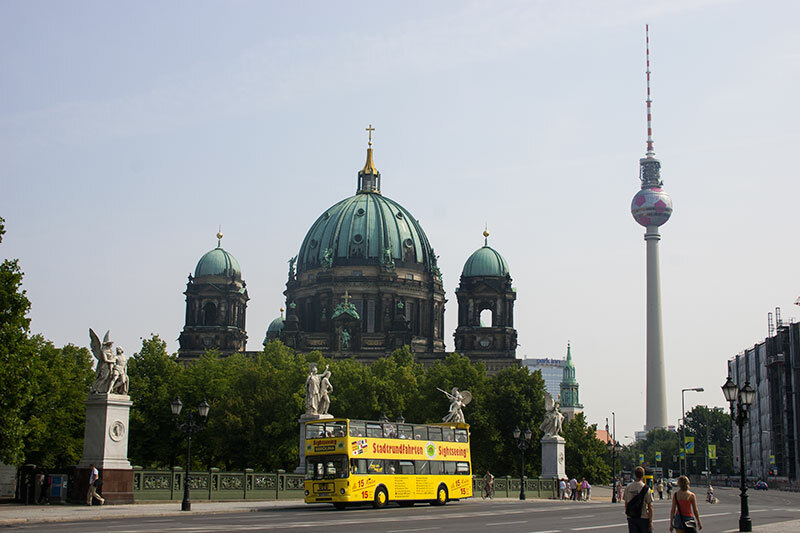 It’s hard to miss the Berliner Dom and the Fernsehturm on a trip to Berlin. Nikolaikirche is found in the Niolaiviertel area. 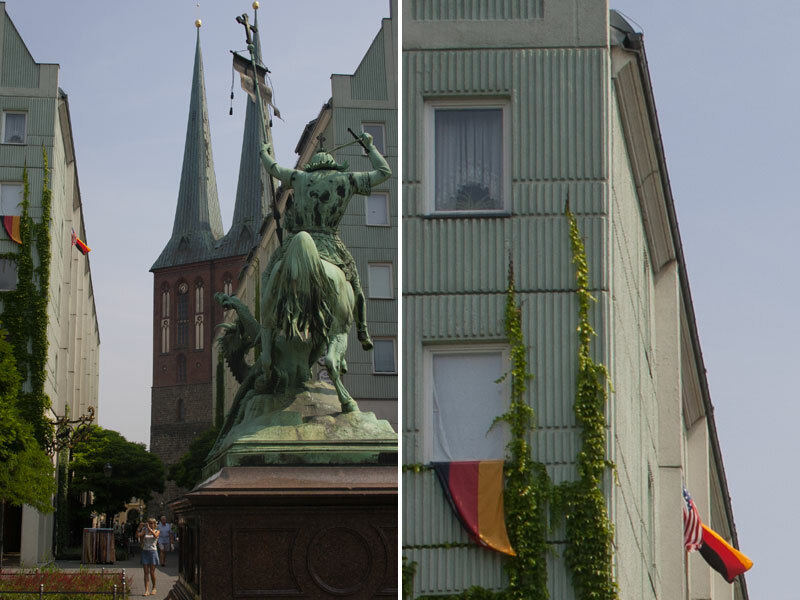 An area with a lot of charm filled with narrow alleys and half-timbered homes. 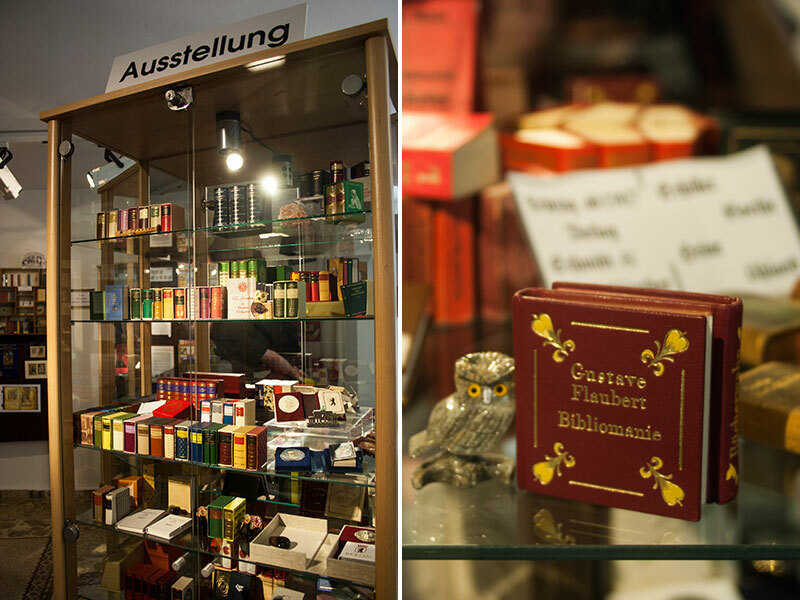 The Minilibris (www.minilibris.de/) book store in Berlin is a must see for any book lover. 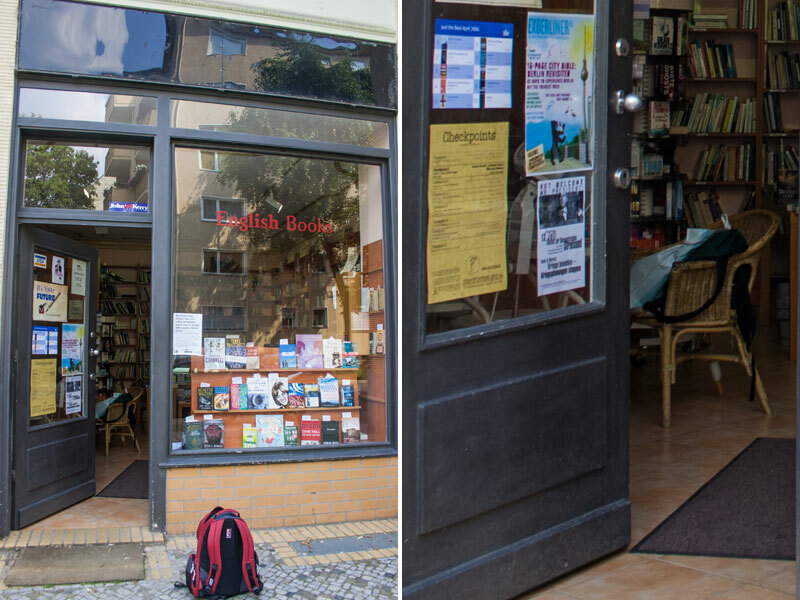 This small store tucked away in the Charlottenburg area has new and used English books and they even have a book club. 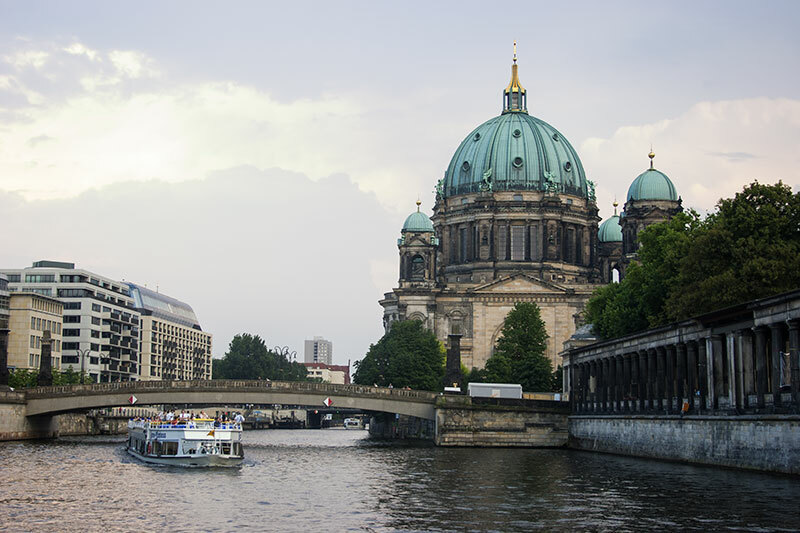 One last picture of the Berliner Dom before we headed back to Hannover.